In a world where organic matter can be reduced to a tiny size, Paul Safranek (Damon) is an average guy who can’t afford to make his wife happy by buying the house she wants. 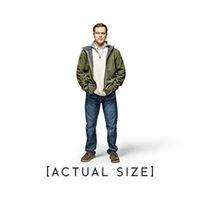 Meeting old friends who have made the jump to downsize to a smaller, more prosperous life, the couple agree to make the irreversible transition – but things don’t go completely Paul’s way when he’s 4 inches tall! An ingenious comedy from the director of Sideways, After Schmidt and The Descendants. Shows start at 11.00 am & 7.30 pm, ticket prices £8.50 & £7.00 (concessions).